Premium quality turmeric & yellow ginger - now available online by the pound! Purchase Online, Shipped to your Kitchen! Purchase Online, Shipped to your Garden! Over 35 Varieties of Mangoes in Stock! View Our Online Selection of Mango! Enjoy grapes and cherries? This fruit is sure to please! Get your tree grapes here! The wondrous tastebud-altering & healing fruit! Chemo patients have found the fruit to minimize adverse effects of chemotherapy & regain appetite! Fruit in 1-2 years, hardy to our climate, black & green skinned fruit varieties, what's not to like?! Buy Online, Ready to Fruit! Persimmon trees are dormant this time of year, providing the perfect opportunity to plant them. 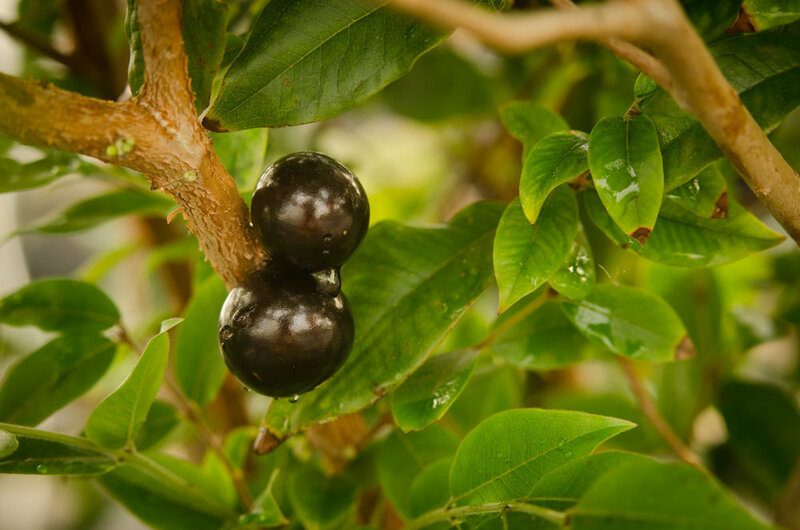 We specialize in Blueberry Bushes, Avocado, Mango, Olive, Barbados Cherry & Miracle Berry, with 80+ species of fruiting & edible plants available. From Moringa, known as the "Tree of Life", Cranberry Hibiscus & Sugar Cane to annuals like Lettuces, Celery, Tomatoes & Peppers. Ginger Roots are used worldwide for their extensive medicinal properties. 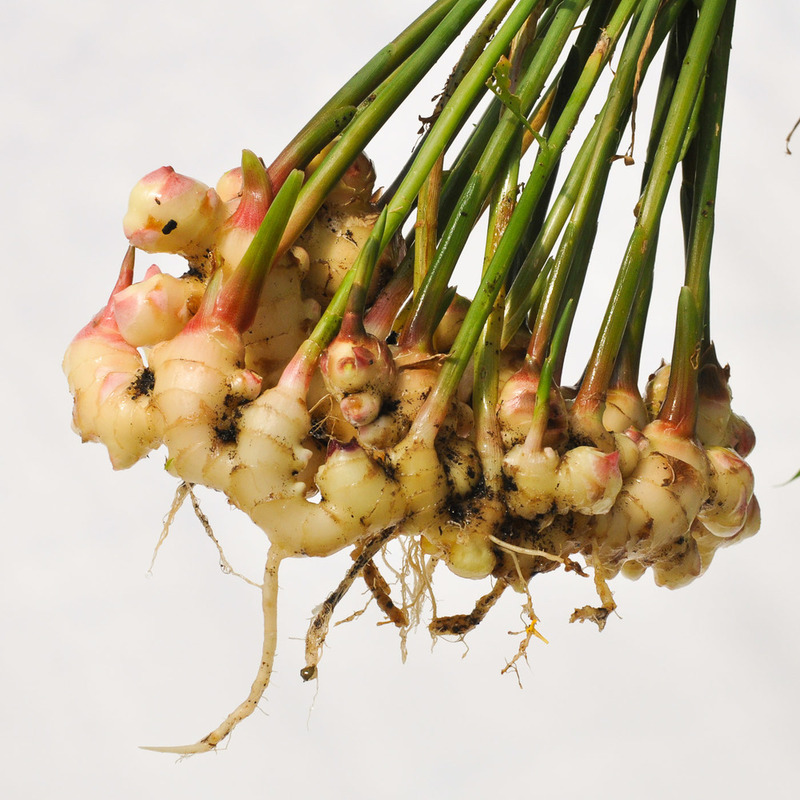 We sell edible, high quality rhizomes and rooted plants of Yellow Ginger and Turmeric. Located in Howey-in-the-Hills, A Natural Farm & Educational Center is a family owned and operated farm specializing in Chemical Free Agriculture. Founded in 2012 by Luc & Sonia Duytsche, the main focus on the farm is the production and selling of edible plants, fruit trees, fresh ginger roots, blueberries & blackberries. 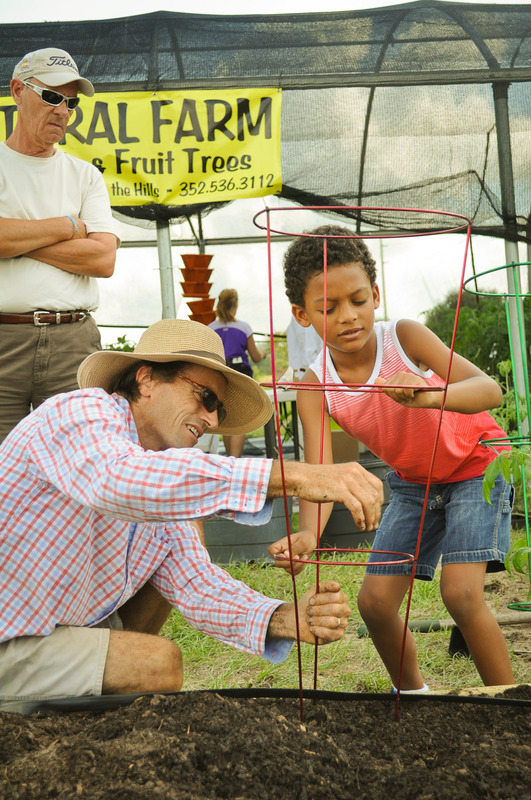 The secondary mission of the farm is offering free or low-cost educational classes for both children and adults on sustainable farming, gardening and plant production through hands-on workshops. Born in France, with background degrees in horticulture and business, Luc Duytsche has worked 20+ years in the states perfecting natural, chemical free gardening here in Florida. Arriving as a student intern in 1992, Luc began his career with a large Lake County tree farm and by 1994, he returned with his family to call Florida home. Since then, Luc worked for several plant nurseries before opening his own farm & educational center. Realizing the harmful effects that synthetic chemicals have on the farm's workers, our customer's health & our environment, A Natural Farm relies on a 100% chemical free approach to growing healthy, poison-free plants. This means no artificial fertilizers, insecticides or herbicides are ever used on the farm. Worm castings, composted turkey & horse manures, biological insecticides & fungicides, such as neem oil, are utilized. The farm is has a steady foundation built upon Luc's years of experience, developing techniques to eliminate pests, control weeds & grow sustainably without the need of synthetic solutions. For example, the farm utilizes mats made of natural components in each plant's pot to limit the amount of weeds. In addition, the seeds we use are not genetically modified or altered in anyway, reminiscent of the vegetables from our grandmother’s garden. The farm grows their plants just as nature has intended and with the tools Mother Earth has provided. With more people concerned with where their food is coming from & questioning how it is grown, modern farming operations are becoming obsolete. A naturalistic approach that cooperates with nature is needed to build an thriving & sustainable food production. Luc has dedicated himself & his farm to this type of practice and makes himself available to pass along this knowledge to others. Whether you are a family looking to start a healthy, cost-saving garden or a large agricultural operation seeking to regulate growing practices & increase responsibility, simply contact us below. Hello dear visitor, We will start our new season of Free classes/workshops soon. To schedule an event, plant sale or educational seminar, please contact us. To have healthy, happy people, it begins with healthy, happy plants. A Natural Farm's mission is to help adults and children learn the foundations of farming and connect families to their food source. With over 10+ years experience in farming, gardening & natural practices, it is the duty of A Natural Farm to supply our local community with the knowledge on creating and maintaining a lifelong garden. This means providing families with the proper education on how farms & edible gardens can operate naturally. 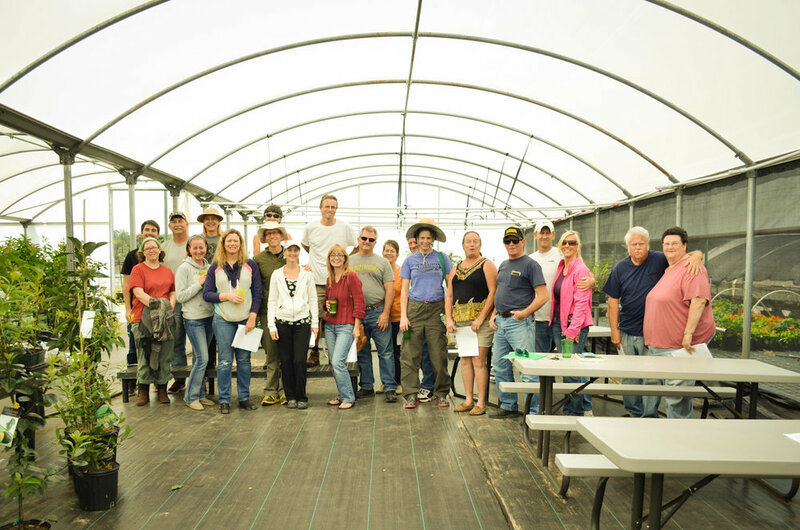 We take pride in our growing practices, so much so, that our classes are free of charge and available to the public, classrooms, school field trips or just about anybody willing to learn and get their hands dirty! 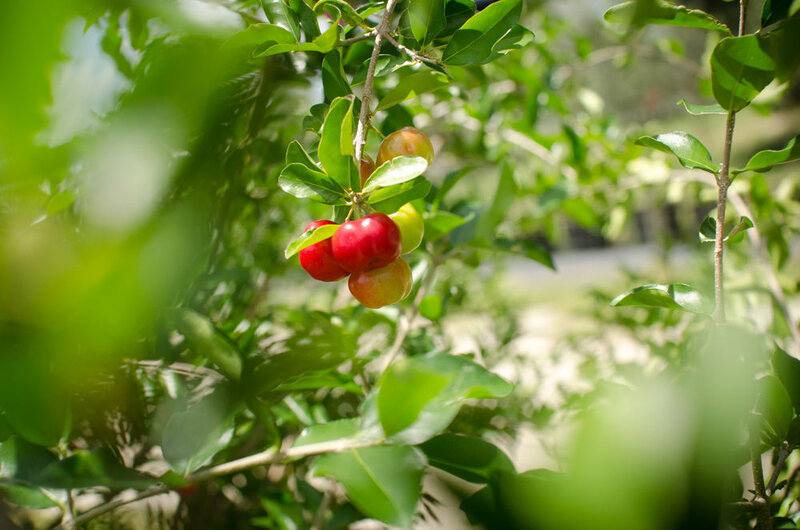 Learn to plant fruit trees, covering fertilization, watering & site selection for specific trees and edibles. Visiting friends of the farm offer their knowledge on subjects like bee keeping, Yerba Mate or growing in raised beds. Call (352) 536–3112 or E-mail us directly here. Our farm is open Monday through Saturday from 9 to 5. We are available for sales, educational seminars, consulting & general information on our growing practices.